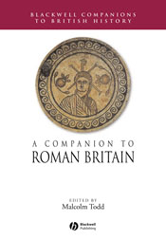 This major survey of the history and culture of Roman Britain spans the period from the first century BC to the fifth century AD. Major survey of the history and culture of Roman Britain. Brings together specialists to provide an overview of recent debates about this period. Exceptionally broad coverage, embracing political, economic, cultural and religious life Focuses on changes in Roman Britain from the first century BC to the fifth century AD Includes pioneering studies of the human population and animal resources of the island.